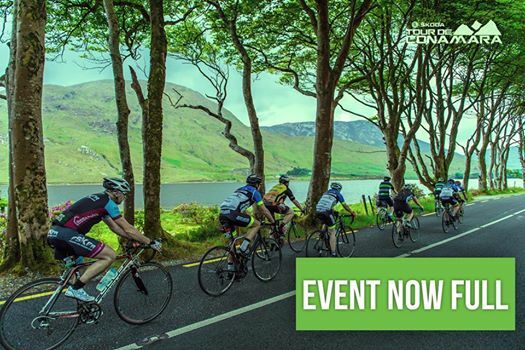 Registration for the 2019 ŠKODA Tour de Conamara is now closed as the event is now full. We do not operate a waiting list system as the capacity for the event has now been reached. Transfers will be facilitated between cyclists up to ten days before the event. This is the responsibility of cyclists to arrange transfers between themselves and then change details through Eventmaster. Cyclists must contact Eventmaster to arrange a transfer as cyclists cannot cycle under another persons name. The transfer must be made ahead of the event. See the FAQ for full details.